A river with many names. 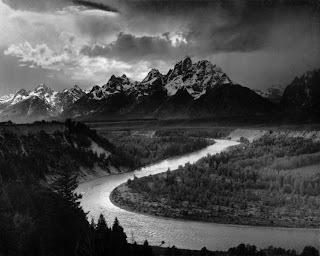 A river that flows as smoothly as a snake and the “S” shape which imitates a crawling snake all combined to give it a beautiful name the “Snake River”. The exact geography of this beautiful water course remained largely unknown to the outside world until Lewis and Clark expedition conducted on 1803 revealed the most of its exclusivity to the public. The Snake River is also known as Lewis River in memory of Lewis the explorer. Snake River has many other names to its credit (excluding Great Snake River as it is only a respectful variation of the original) Mad River, Saptin River, Shoshone River, Vam-poh-pa are just some of them. Rubbing shoulders with the great! The 1038 Miles journey starts from the Yellow National Park situated in the Wyoming continental divide. In its long course which ends only by its union with the Columbia River, Snake River has the unique status as it is the largest contributory of the Columbia River. In its “icy current and the compulsive course” (to put it in the great bard’s style! ), the great snake rubs its shoulders with some of the worlds well known cities like Washington, Jackson, Idaho and get enriched by many tributaries which joins hands with it. 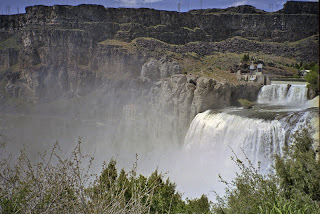 River, Rigby – Idaho Falls (American Falls Reservoir) – Snake River Canyon –Shoshone Falls – Washington – reaches Pasco River – Columbia River. 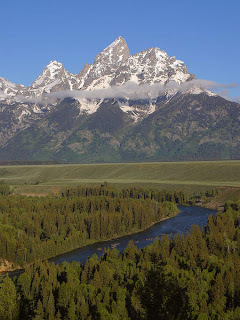 The Snake River has mainly four tributaries they are Teton River, Henry’s Fork River, Salmon River and Clean-water River. Contribution to agriculture and energy. In its long course the Snake River allows many convenient locations for building dams enabling production of enormous quantity of hydro electric power along with water for agriculture and human consumption. The United Bureau of Reclamation is responsible for the facilitations, Mini doka, Boise, Palisades, Owyhae are some of the projects undertaken by them. There are numerous private concerns also engaged in various projects for harnessing power and water. The course of the Snake River is endowed with numerous exclusive locations capable of attracting tourists with spending power and there is no dearth for agencies to provide facilities people seek for pleasure. Outdoor sporting activities include trekking, horse-back riding, fishing and boating in the river. There are good golf-courts also waiting for golf-freaks. The river in its course runs through a number of gorges of which the “Hell’s Canyon” is the deepest in the world, viewing the big river as a narrow stream from the top of the gorges is an experience unforgettable to the visitor. When planning of the next vacation think of one on the laps of the “Great Snake”. Hey! Thanks for stopping by my knittng design blog! Our son loves all of this wrestling, lol, it's much too much to keep up with these days...as with most all things...even wrestling was simpler when i was a kid, lol! I want to thank Biby Cletus for dropping by and leaving his comment on my site. This site is very informative, although I'm afraid to say, that I am not a very avid fun of snakes (chuckle). I am now on my way to you other web page. By the way, Sanjaya's doing very good! Yep, like I said, I have a lot to do in my life! Glad you stopped by my blog. Yes, Snake River is an interesting river. 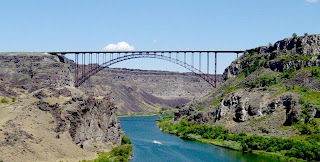 In 2002 I took jet boat into Hells Canyon as part of my bicycle tour in that area. Photos on my web site which my blog connects to. My brother wrote a book about Hells Canyon. You mention Clean Water River being one of the tributaries. It's actually the Clear Water River. Runs into the Snake at Lewiston, ID. Thanks for the article on putting a favicon in your blog. I just did it. Mass Agitations -- Manias and Phobias.